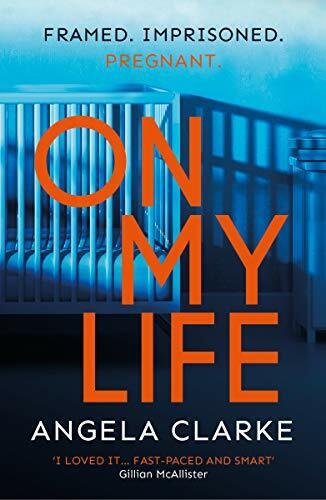 After the success of her ‘Social Media Murder Series’, Angela Clarke is back with a twisty new story called ‘On My Life’. Sounds like a gripping thriller to look forward to in March! You can pre-order On My Life from Amazon and will be available to buy from good bookshops 7th March 2019. Angela is an author, playwright, columnist and professional speaker. 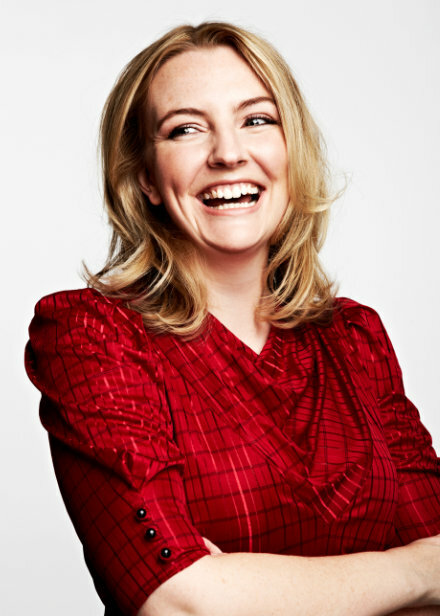 Her debut crime thriller ‘Follow Me’ was named Amazon’s Rising Star Debut of the Month January 2016, long listed for the Crime Writer’s Association Dagger in the Library 2016, and short listed for the ‘Good Reader Page Turner’ Award 2016. ‘Follow Me’ has now been optioned by a TV production company. The second instalment in the ‘Social Media Murder’ Series, ‘Watch Me’ is out January 2017. And the third ‘Trust Me’ is out now. My name is Angela Clarke and I’m a chocoholic. I also write the ‘Social Media Murder’ Series, including CWA Dagger in the Library long listed and Dead Good Reader Page Turner short listed ‘Follow Me’, which has been option by a TV production company, and Sunday Times bestseller ‘Watch Me’. I got into this by accident, I set out to write about the internet and how we use our new found online power for good and bad, but the body count was so high it had to be crime, baby. Your successful social media series is all about social media, why did you decide to use this topic? So many crime novels are based in a community, with that location shaping both the characters and the story. With 15 million people in the UK on Twitter, and 24 million Brits using Facebook every day, social media is our newest, biggest and fastest growing community. It links people who might otherwise never have interacted or met, opening us up, and influencing us in ways we’re only just starting to appreciate. It’s fresh and fertile ground to explore the darker side of humanity. Oh! So many! Like most writers, I was a reader first and I love books. I’ve just finished Luca Veste’s ‘Blood Stream’, which was dark and disturbing, and delved into reality TV, online interaction, love and other themes close to my heart, so I definitely want him in. I’ve also just read Steve Cavanagh’s ‘The Liar’ which was a rip-roaring legal thriller with a former con artist turned lawyer at its heart: his Eddie Flynn is an amazing character. So he’s in! And then we need some ladies to even out the testosterone; I’d go for Claire McGowan, Steph Broadribb, SJI Holliday, Jane Casey and Sarah Hilary, because I love their characters and their work, and I know I can get pissed with them. Wine is an important part of a book club, right? What’s your favourite form of social media to communicate on? It changes daily, and for different reasons. I like Twitter for jokes, Facebook for secret clubs, Snapchat for filters, and Instagram for making me feel calm. I’m having a hectic day today, so Instagram it is. Excuse me while I go meditate over a shot of some beautifully lit, artfully arranged books and a cup of coffee. What’s your favourite part of the writing process? Either the bit at the very beginning, when you have this idea you can barely contain, and it’s bubbling out of you at every opportunity. (Not to be confused with the bit where you actually start typing). Or the bit at the end when you’ve redrafted, and what was as unwieldy word monster has taken shape and looks like a real book. And you give a big sigh of relief because you can still do it (and you feared you couldn’t). What do you think makes a good crime book? A killer hook. A pacey read. And enough tension you need a massage while reading it. If Freddie and Nas were to be adapted for screen, who do you imagine playing the ladies? Freddie and Nas are quite young, only 24 in ‘Trust Me’, which makes it hard to pick. For Freddie, you want someone like Pheobe Waller-Bridge or Lena Dunham five years ago. Bel Powley from ‘Diary of a Teenage Girl’ would be great. For Nas, perhaps Amber Rose Revah or Aysha Kala, who were both great in ‘Indian Summers’. It speaks volumes of the media industry, that there aren’t a huge number of young, female, mixed heritage or British Asian actresses getting screen time at the moment. From books and films, who has been your favourite bad guy? The unnamed serial killer in Graeme Cameron’s ‘Normal’. He’s a deliciously darkly comic creation, you find yourself rooting for him. He’s a brilliant character! Does my Kindle count as one? If not, could I just take my current TBR (to be read) pile with me? I have so many I want to get through it’d be really handy. Make sure that you have a strong hooky plot that can be condensed (and sold) on one or two snappy sentences. If those sentences reel people in and make them want to hear more, you know you’ve got a strong idea. Water. I drink gallons of the stuff. It powers me, like other people use coffee. I can’t function without it. Unless I spill it over my keyboard, then I can’t function at all. And finally Angela do you have any projects or releases on the horizon which you would like to share with the readers of the website? I’m so excited that the third in the ‘Social Media Murder’ Series, ‘Trust Me’, is out June 15th. It’s inspired by a real-life case, and centres on a head teacher who sees a serious assault live streamed over the internet, but when she reports it she discovers the account it streamed from has been closed, and she has no idea who the victim, or the perpetrator is. No one believes that what she saw is real, and she has to find a way to track down the girl in the live stream who needs her help. It’s an exploration into how the internet has opened a window into strangers lives, and sometimes you see things you shouldn’t have. Things that could put you in danger. You can buy the ebook and paperback from Amazon and is available to buy from good bookshops. When Kate sees a horrific murder streamed live on her laptop, she calls the police in a state of shock. But when they arrive, the video has disappeared – and she can’t prove anything. Desperate to be believed, Kate tries to find out who the girl in the video could be – and who her killer is. Freddie and Nas are working on a missing persons case, but tensions in the police force are running high and time is ticking. When Kate contacts them, they are the only ones to listen and they start to wonder – are the two cases connected? ‘Trust Me’ is the latest book in the Social Media series and this time the book focuses on Periscope, a video sharing platform. We meet Kate, a school principal who witnesses a violent attack on Periscope but just as she goes to report it, the video vanishes leaving Kate to wonder did she really see it? Kate then goes to Freddie and Nas asking for their help but as there is no video, there’s no evidence so there is nothing that can be done. But Freddie believes Kate and begins her own investigation which brings forward more people who saw the horrific video and a proper case is established. The story is seen from the perspective of Freddie and Nas, Kate and the clever inclusion of people directly involved in the case. Like the previous books in the Social Media series, the book is sharp and snappy and flows at a fast paced with each chapter ending on a cliff hanger and leaving the reader thoroughly engaged. I love the relationship between Freddie and Nas, where Freddie is sharp and outspoken and not one for obeying rules, Nas is quiet and determined and regularly apologising for Freddie’s behaviour, their interactions made for entertaining and insightful reading as they pieced together the clues of the puzzle and how they regularly had to fight for their places in the predominantly male workplace. As the plot follows many perspectives, this gives the story a great sense of urgency as it is a race against time to solve the crime before it’s too late. I really enjoyed this story, it really highlighted the dangers of social media and how the platforms that we all use for fun and engagement, can also be used for such cruel activities. 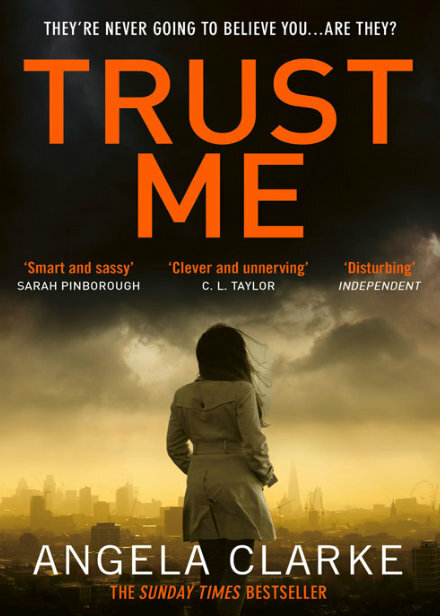 Sharp, fast and insightful from the very start, ‘Trust Me’ is another great story from Angela, packed with twists and drama, this book was a rollercoaster of a read! You can preorder the ebook and paperback from Amazon and will be available to buy from good bookshops from 15th June 2017. What do you do if you witness a murder…but no-one believes you? When Kate sees a horrific murder streamed live on her laptop, she calls the police in a state of shock. But when they arrive, the video has disappeared – and she can’t prove anything. Desperate to be believed, Kate tries to find out who the girl in the video could be – and who her killer is. Freddie and Nas are working on a missing persons case, but tensions in the police force are running high and time is ticking. When Kate contacts them, they are the only ones to listen and they start to wonder – are the two cases connected? I looking forward reading this thrilling story and to the return of the fighting duo Freddie and Nas. 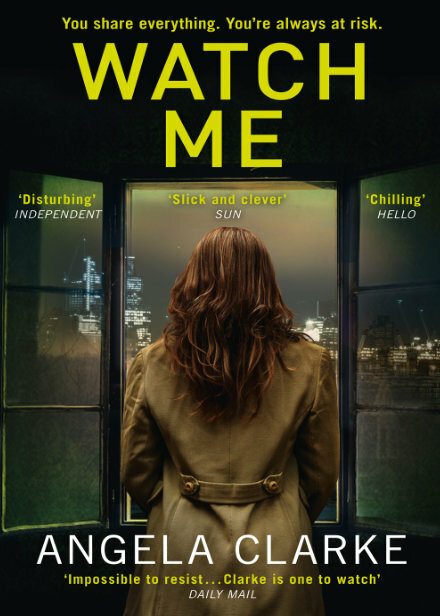 Author of ‘Follow Me’, Angela Clarke is back with a new book this year called ‘ Watch Me’ which is the second book in her Social Media Murder series. The body of a 15-year-old is found hours after she sends a desperate message to her friends. It looks like suicide, until a second girl disappears. This time, the message is sent directly to the Metropolitan Police – and an officer’s younger sister is missing. DS Nasreen Cudmore and journalist Freddie Venton will stop at nothing to find her. But whoever’s behind the notes is playing a deadly game of hide and seek – and the clock is ticking. YOU HAVE 24 HOURS TO SAVE THE GIRL’S LIFE. You can pre-order Watch Me (Social Media Murders 2) from Amazon and is available to buy from good bookshops from 3rd November 2016.